The Indian veteran has taken over the role from the Pakistan fast bowler Wasim Akram for the upcoming edition of IPL. The Tamil Nadu pacer had retired from all forms of first-class cricket in September last year. He is presently working as the bowling consultant for Tamil Nadu who are battling it out in its Ranji trophy semifinal match against Mumbai. The team has made it to the last four stage of Ranji Trophy on the back of some remarkable bowling performances by the team’s fast bowlers. Balaji’s association with the Kolkata-based franchise has been an old one. The 35-year-old was an integral part of the Knight Riders team from 2011 to 2013. He played an instrumental role in the KKR being crowned as the IPL champions in 2012. The Kolkata Knight Riders had Wasim Akram as the bowling coach last season. The Pakistani legend had expressed his unavailability for the upcoming edition. The former fast bowler had cited professional commitments and time constraints as the reasons for his inability. 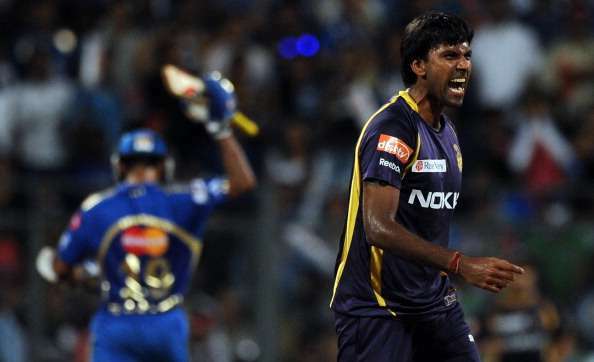 Balaji gleefully accepted the role offered by the KKR management. Commenting on his new role, Balaji said that he thoroughly enjoyed his stint as a player for KKR and that he is delighted to be back to the franchise that he has admired. The earliest memories of Balaji at the international level were his exploits with the bat and ball in ODI series against Pakistan. What seems on the outset is that he has an intelligent cricketing mind and a likeable personality. He still has a lot in himself to offer as a coach post retirement. Kolkata Knight Riders have always boasted of many good players with huge potential. With Jacques Kallis as the head coach and Lakshmipathy Balaji as the bowling coach, the players will certainly have a lot to learn from these greats and realise their full potential.